An interpretation of the iconic Brad Temkin photograph by AJ Masthay as a homage to Garcia and his skeleton and rose bedazzled nudie suit created by famous western wear tailor Nudie Cohn. Garcia donned the Nudie suit on several occasions between 1972 and 1973, including the Grateful Dead’s 1972 New Year’s Eve performance at Winterland. This design is offered on a 100% organic cotton black t-shirt. I bought this shirt for 3 reasons. #1 its organic. I only buy organic clothing &amp; am very glad the garcia family provides the option. #2 AJ Masthay did the artwork &amp; he is my FAVORITE artist of all time. 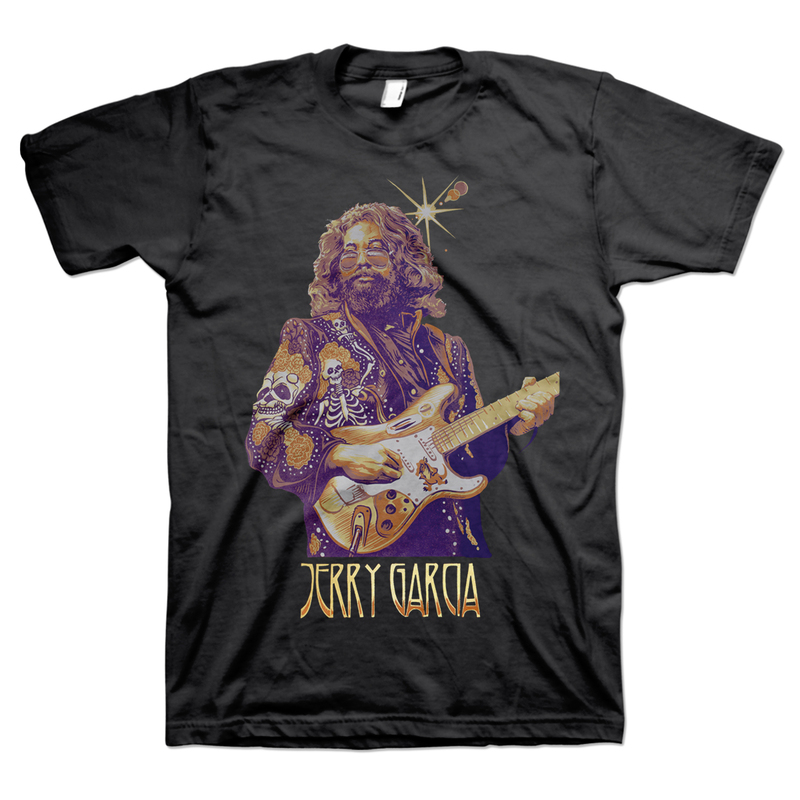 I would love to see more of his work in the garcia fam store. #3 last but certainly not least...huge Jerry fan. Gotta love Jerry. I love lots of Jerry shirts but had to buy this one as its a OG AJ Masthay. Great collaboration! LET AJ PRINT!